If you’ve ever wanted to pick an artist’s brain about their work, this weekend will be the perfect opportunity. As part of the Louisiana Voices: Six Artists Speak to Us exhibition, there will be a panel discussion this Saturday, September 29th, from 2-4pm. 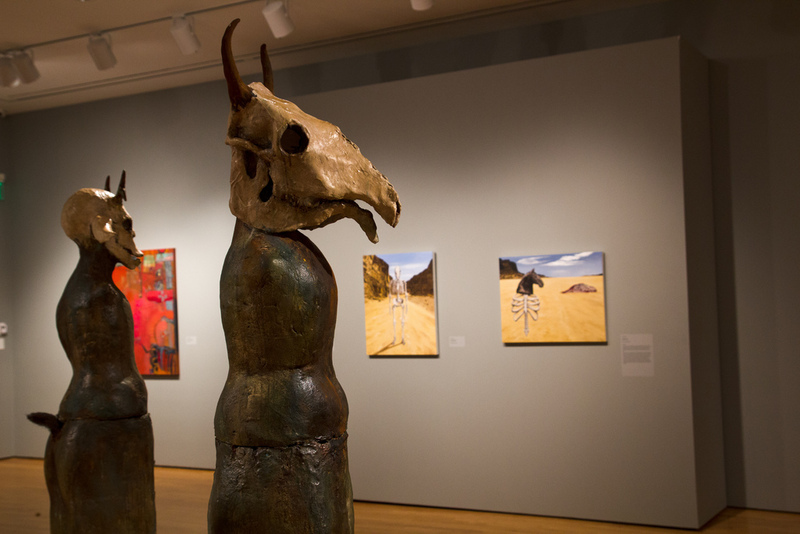 Five of the artists featured will be present to discuss their work with the public as well as their influence as an artist working in Louisiana. Panel artists are Melissa Bonin, Linda Trappey Dautreuil, Troy Dugas, Amy Guidry, and Lisa Osborn. The event is free and open to the public and will be held at the Paul & Lulu Hilliard University Art Museum in Lafayette. After a short break, I did end up painting another 4″ x 4″ panel piece from my New Realm series. 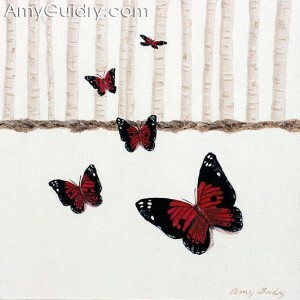 This one is “Butterflies” and features the red and black butterflies seen throughout the series. I kept the composition rather simple given the small size of the panel. These panels are great. I found them one day while getting art supplies. They’re so darn cute and very smooth. Works wonders when doing tiny detail work (which is rather often for me…) so I do like working with them. I do like canvas, too, though, so I won’t ever give that up. 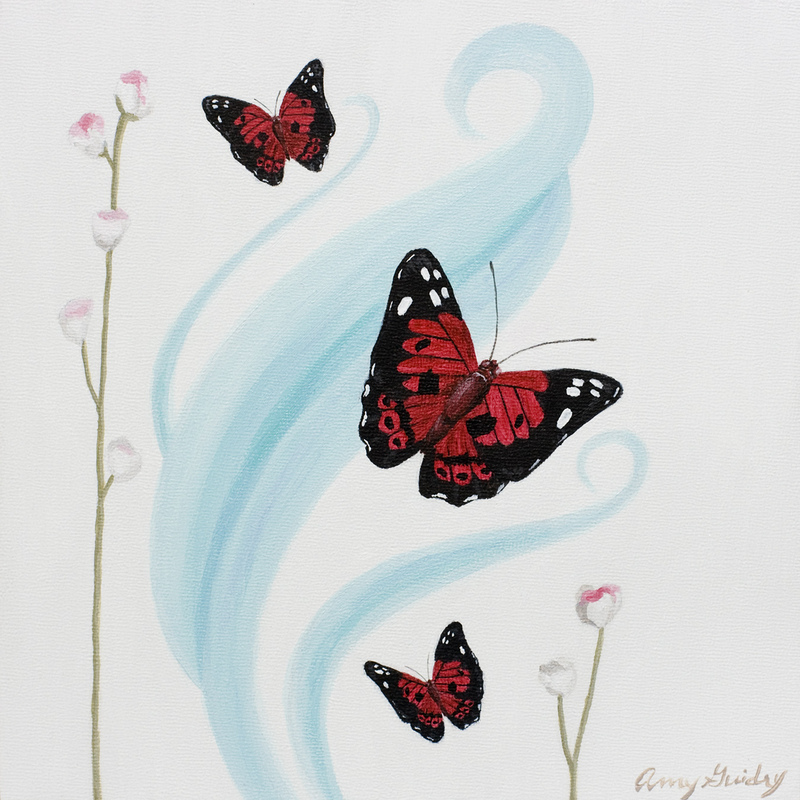 You can also view more of my New Realm series, including large pieces (and I do mean large!) on my website www.AmyGuidry.com.